I haven’t done a lot of storytime blogging recently because I feel like there are just tons and tons of sources for storytime material these days. Sometimes I don’t feel like I have anything unique to add, but I think I’ve been wrong about that. I do mixed-age storytimes every week and I put them together in an hour starting with books that I’m excited about. I’ve picked up lots of activities that can easily tie into a wide variety of books and that keeps my stress level low during planning. I don’t have a lot of original material, but I’d love to highlight the activities I’ve learned from other storytime masters. These are a few of my all-stars in leading mixed-age storytimes. You Might See Some via Storytime Katie. You can make this song work with almost any book that has animals from a particular setting. I’ve used it with the ocean, farm animals, and forest animals, but you could also easily do the desert or jungle…even the Arctic! 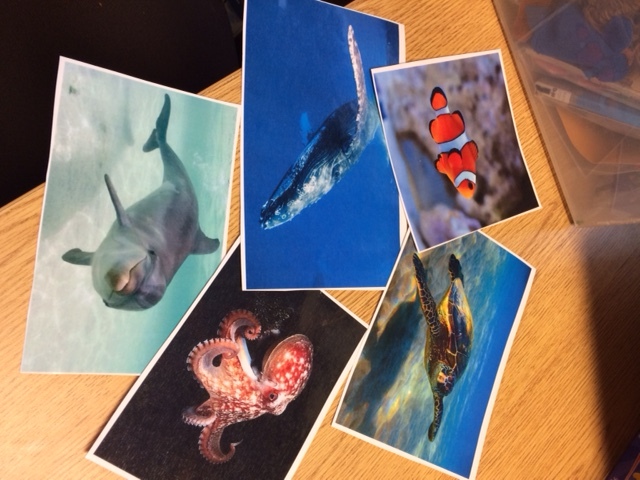 Katie’s example was with forest animals, but you can just say, “If you’re swimming in the ocean,” or “If you’re ever in the farmyard.” I laminate pictures to go with with the animals and hold them to my chest while I sing. Then before I name the animal, I might describe it if it’s something easy to guess. When they guess or I name it, I turn it around and add it to the flannel board. 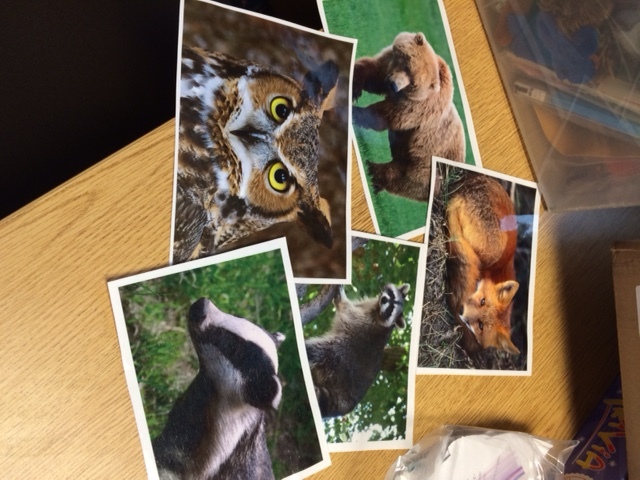 My babies and toddlers love the pictures and after storytime, sometimes they come up to flannel board to point and practice saying the names. 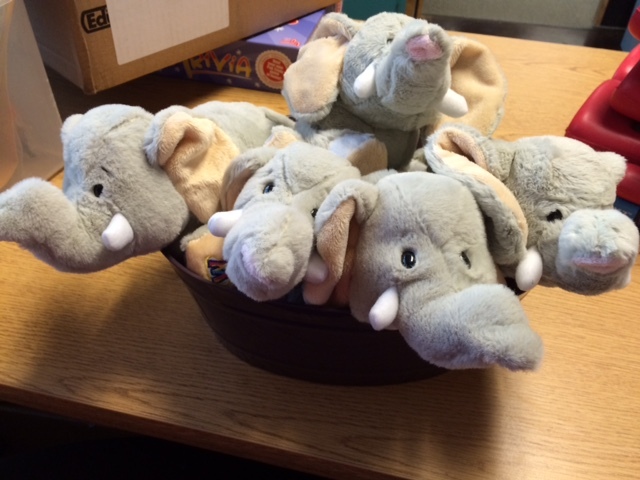 Five Elephants in the Bathtub via RovingFiddlehead. I do this one as either a prop song (with the elephant Webkinz in a plastic tub) or a flannel song with clipart. I tend to use the props with babies and make a “splash” at the end when they all fall in using bubbles. With older kiddos, I tend to use the clipart and make a splash by squirting the crowd with water at the end. Sleepy Bear via Storytime Katie. 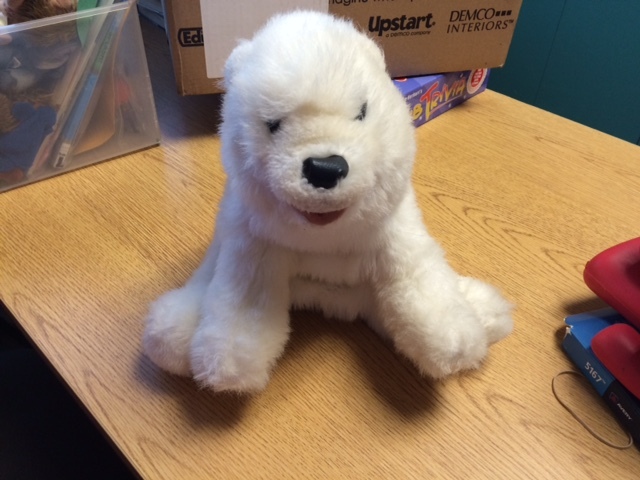 My kiddos LOVE this puppet song and since so many books have bears, I get to use it often. I sing it three times, bringing the bear out from behind me and using him to sing in sleepy voice. When we sing, “go to sleep,” I snuggle him like a baby and rock him, but I whisper to the kids that we need to wake him up. Then on the count of three we say, “wake up bear!” I usually do it three times. 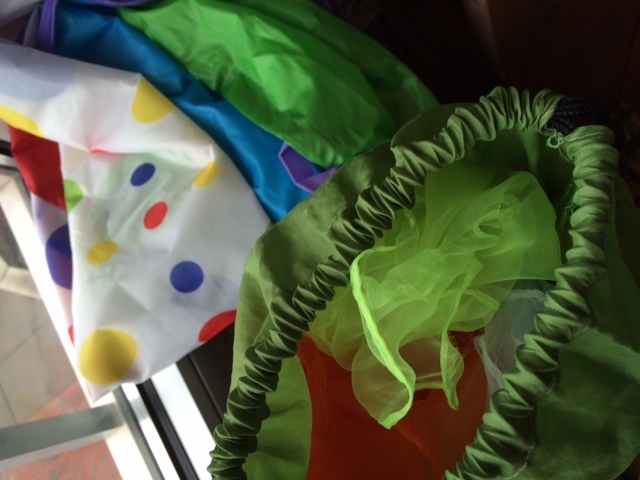 Hope you like these activities and can use them in your own storytimes!